Sometime in 1996 I discovered a new renegade lipstick company called Urban Decay whose motto was: “Does pink make you puke?” I immediately snapped up tubes in colors called Bruise, Smog, Roach, Plague, and Asphyxia and wore them boldly to cat shows and on the streets of San Francisco while wondering who might be behind this maverick company. When the San Francisco Chronicle had an article about Sandy Lerner I learned that she was the person who created Urban Decay after she’d co-founded, then sold, Cisco. The article had a photo of Sandy, a top a regal horse, dressed in armor! Turns out that this woman jousts. Totally impressed by this inspiring woman with her horses, cool outfits, brains, and joyful eccentricity I can honestly say she’s been a muse of mine since founding Cat Faeries in 1993. Fast forward to 2017 and we learn that she’s a serious cat-woman with a collection of astonishing museum-quality collection of art pieces from centuries back to modern which depict cats, and a new book to showcase them in. She’s also a major philanthropist who donates heavily to cat welfare and rescue. There are absolutely no mundane or common objects photographed in Caticons. Every single object photographed is a new experience to the senses. Look at this book time and time again to find overlooked details or grasp something new in Sandy’s writings about a particular piece or era. Caticons a beautiful text book of sorts on the history of cats in art, literature and poetry, music, and culture that does not exist elsewhere. Caticons should be required reading for any student of art and history, and school children everywhere. Sit a child down at a table with this book and watch their eyes and hearts open to the wonders of cats and art – what a great way to study history. A massive amount of work went into creating this book. It was very intensive and therefore very expensive to produce. It was a true labor of love. 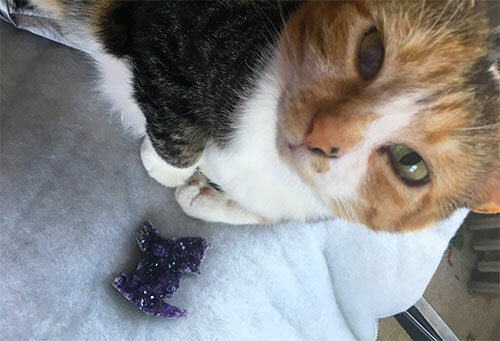 The miniscule amount of profit from sales of Caticons are personally guaranteed by Sandy to go directly to her ongoing donations to cat and animal welfare. Sandy still jousts and raises those beautiful shire horses she rides when jousting. She practices this intriguing sport at her ranch in Upperville, Virginia. Urban Decay and Cisco are memories now as her thoughts and work are 100% devoted to organic, stewardship and regenerative based farming, and to cats. Her philanthropy ranges far and wide. Her heart is generous and kind. Sandy Lerner has many irons in the fire, always creating new and exciting projects, often involving the betterment of cats, other animals like horses, environment, and promoting land stewardship, regenerative farming, and preserving our food supply. If you are stumped about what to give to a dear cat loving friend, or what to reward yourself for being a good cat-parent this year we’ve found the ideal gift, “Caticons, 4,000 Years of Art Imitating Cats”. 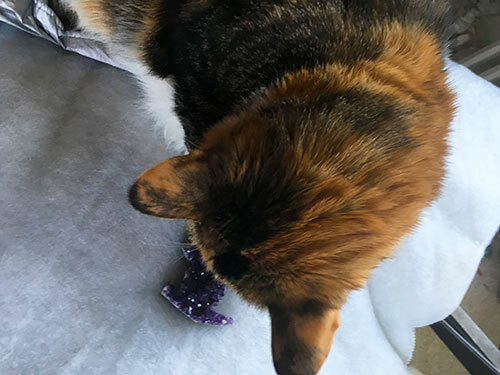 A few of Cat Faeries catnip toys or an Amethyst cat shaped crystal will make the season even merrier! Page 14 is her first mention of her fixation on all things blue, including blue porcelain cats. Page 296 is the last page before the Endnotes with a painting of Sandy and her cat Ratty (on roller skates!) painted by Carolina Gronholm in 2016. Lastly, Page 288 has a Georgian era brooch of a cat. Such jewelry from the Georgian and Victorian eras with cats are extremely rare – dogs are more common. Should you ever stumble upon one like it notify Auntie Cat Faerie immediately! 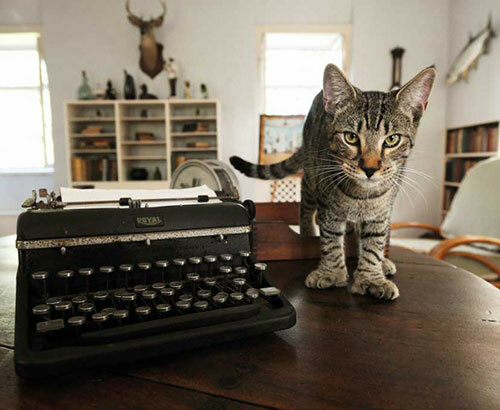 When Hurricane Irma did a direct hit on the Florida keys last weekend, it could have been very dangerous for the colony of 54 cats that live at the Hemingway House and Museum in Key West. 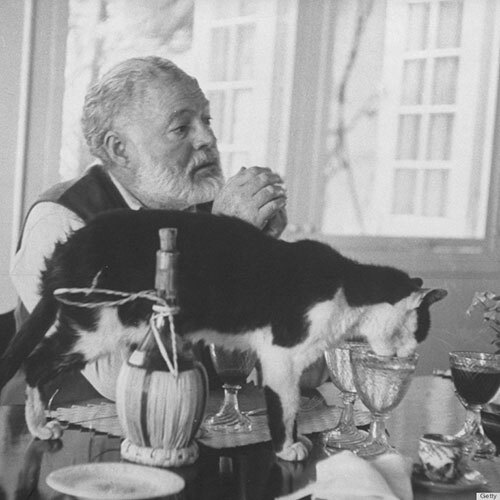 Many of the cats have six toes and are reportedly descendants of Snowball, a six-toed white cat given to Hemingway by a ship’s captain in the 1930’s. But as you know, cats are very smart. 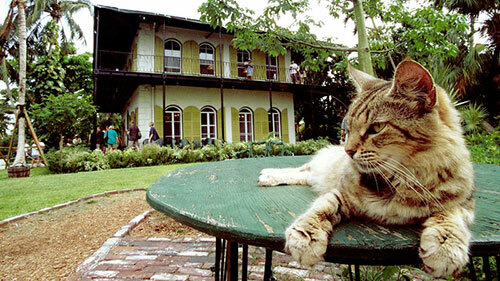 The Hemingway cats knew when it was time to take shelter in the museum, along with 10 people. All the cats and people made it through Irma unhurt. Trisha has written for us before. She’s charming young lady who’s always got something to say. This time it’s about her experience as a volunteer at a no-kill cat shelter with some tips on how a volunteer can ease the load for employees so they can get more done. As a former volunteer I’ll add a bit about how being a cat shelter volunteer has hidden perks for people. During my orientation at the San Francisco SPCA they said that many volunteers reported that their time there was better than therapy. I took that to mean: “Walk in depressed, walk out happy and at peace.” One high school aged girl who was trapped at her abusive parent’s house until she turned 18 said she could tell the cats all of her problems which became less of a burden because the cats listened. Others said that it gave them a mental health break from their own mind’s chatter. And dog walkers reported significant weight loss. For the last 8 months I’ve had the pleasure of volunteering weekly at a no-kill cat shelter near me, called Simply Cats. Due to time constraints I’ve had to stop volunteering for the time being, but I enjoyed every second of it. If you have a few hours of your day to dedicate to a shelter in your area, I highly suggest that you do so. Even if on a small scale, I knew that I was making a difference in these cats’ lives. I was helping to provide them with a safe, clean home and did my best to provide them comfort. What’s more, I helped to relieve some of the full-time staff so they were able to attend to critical matters that demanded their attention. If you’re wondering if volunteering is right for you, I’d like to share my experience with you and hopefully help you form your own conclusion. I started volunteering at my local shelter simply because I’m a cat lover and I had a free day each week with nothing to do. 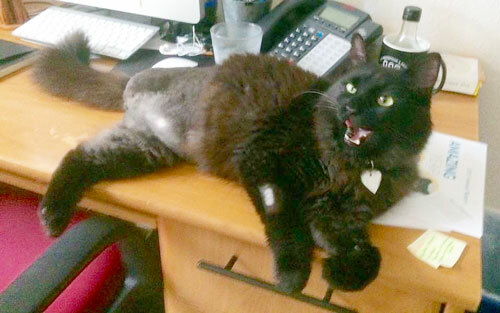 Why not help out some cats and make the lives of the shelter employees a little bit easier. In addition, one of my two cats is a rescue cat, and sadly was not living at a no kill shelter. If I wouldn’t have chosen to take him home I’m afraid the worst possible imaginable scenario might have taken place. That being said, I have a soft spot in my heart for rescued animals. If your local shelter is anything like mine, then you’ll agree that shelter employees have very little time to do so many tasks, and can really use the help. 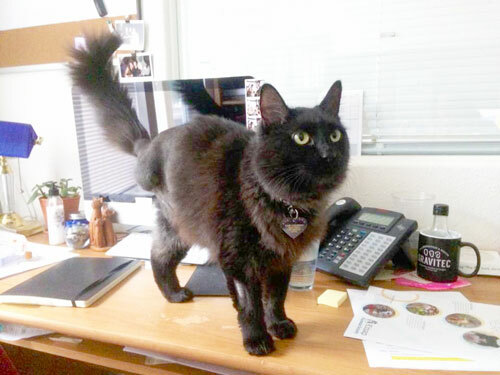 Running the shelter, greeting guests, accepting cats, and trying to organize events is more than enough to make an employee feel overwhelmed, I’m sure. On top of all of that, my local shelter has about 20 individual rooms that house cats in each. These rooms need to be attended to twice per day. When you have, on average, two or more cats in each room, the room gets messy in a hurry. They need someone to clean up the mess and to just be with the cats and comfort them during their stay. My assignment at my particular no kill shelter was to clean the rooms of the cats. As I mentioned before, this needed to be done twice per day. So, I stepped in for an earlier shift on my off day, which only took up about 2 hours of my day. I would scoop litter, clean all surfaces, sweep and mop, and make sure the cats had fresh water. After I was done making sure their living area was sparkling clean, I was able to just enjoy my time with the kitties, play with them, and pet them (the best part!). As volunteers we also had the opportunity to spread awareness about the shelter via social media and throughout the community. My shelter has regular events that we were encouraged to attend in order to help raise funds to keep the shelter open and get the cats all the necessities for maintaining a fulfilled and happy life while they are at the shelter. A friend of mine recommended that I volunteer at the shelter because she is currently a volunteer as well. We discussed the possibility back and forth and among my many other delights, I was especially happy to volunteer for a no-kill shelter. However, even if you choose to volunteer at a no-kill shelter, you should prepare yourself for some things you might see or learn during your stay. Some cats do come from hoarding or abuse situations. My local shelter has a veterinary staff on hand to help any kitties that need medical attention. You may come into contact with cats that have illnesses or impairments due to their neglect or abuse. So, you’ll want to mentally prepare for that before you walk in the door. 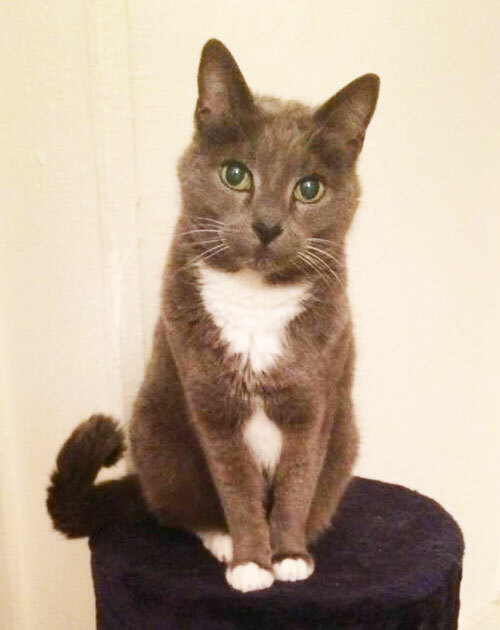 As heartbreaking as it is to see, all of the cats that I encountered with illnesses or impairments were completely healed, thanks to the dutiful veterinary staff, and were as full of life as any other cat I came across in the shelter. All in all it was an absolutely wonderful experience that I am sad has come to a temporary close. I plan on volunteering again as soon as my schedule opens up again and I suggest that you do the same if you are able. There is simply no experience like it. It is extremely gratifying, fulfilling, and rewarding! One of our favorite customers, Kelleen (Kelly) has a feline-family of 4 “tripod” cats a clever name for cats who have only 3 legs. She was delighted to share their story and photos with our customers and readers. Here’s her story about her tripod cats! Tripod cats have a special place in my heart, and a big place in our family. Between myself and my daughter, we now have four three-legged cats – as well as one four-legger! 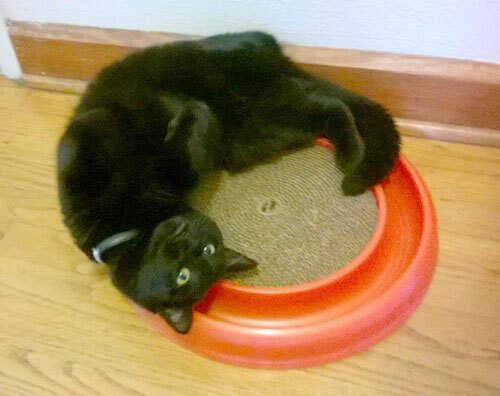 In our minds and theirs, our tripods are just cats – active, curious, playful, and loving. Missing body parts or no, these resilient little beings are amazing, gorgeous animals, each with their own distinct personality, deserving of love and pleased to give it in return. They don’t have any pain related to their missing limbs, and are not bothered at all by their differences, still approaching everything with a cat’s “can-do” attitude. Litter boxes need to be larger because they can lose their balance and go outside the box – but at the same time, the sides can’t be too high because they need easier access. It’s important not to overfeed tripods, as too much body weight will make it much more difficult for them to remain active and navigate their surroundings on 3 legs. It is more difficult for three-leggers to run or climb to get away from predators, so it’s best for them to be indoor-only cats. I built a fully enclosed catio outside my back door so my four can spend time in the sun being cats – chasing snakes and voles, watching birds, climbing tree limbs, and relaxing in the grass – while they remain safe from our resident eagles, raccoons and neighborhood dogs. 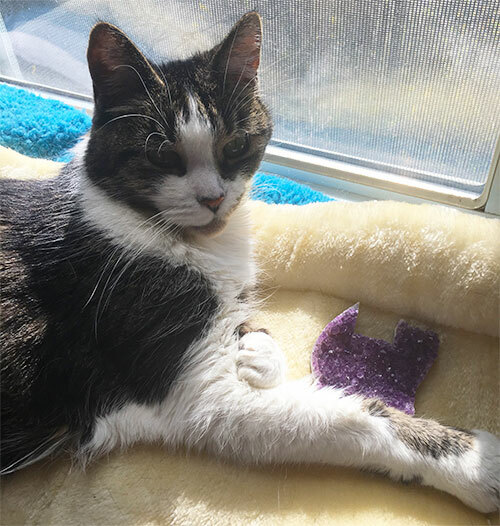 Some toys are better – for example, all three of mine, who are each missing a rear leg, love the Kitty Kicker-style toys that they grab with their front legs and kick at with that extra-strong back leg of theirs. They love ground-level scurrying toys they can “catch and kill” also. Toys that dangle in the air are not so enjoyable because with only one rear leg tripods can’t stand up and swat or jump up to bat them out of the air. Not all tripod cats are the same, of course, or have the same needs. Cats missing a front leg are sometimes more likely to hide or to use their teeth – just as cats who have been declawed may – because they feel they can’t protect themselves or communicate their displeasure with their claws. Cats missing rear legs have a harder time climbing, balancing on narrow walkways, and “landing” gracefully when they jump. There are also differences between those who lost limbs as adults and those who grew up already missing a limb. Our three who lost limbs as adults sometimes still try to jump/climb on things that they can’t handle because they seem to forget that the leg is missing! The wonderful characters of our quartet of tripods and the enjoyment they have brought into our lives make it well worth the bit of extra thought and work involved in creating a fun, healthy, safe environment for them. They may be missing some parts, but they make our family whole! Our family’s very first cat was a tripod who lived in a home with too many animals that bullied and terrorized the little 3-legger who couldn’t get away or fend the others off from his food. My daughter, who has always had a soft spot for the underdog (or undercat, as it were), asked the family if she could have him, and brought him home so he would have a loving, quiet home where he would be protected and cherished. Although I had always been a “dog person” (who liked cats but had no particular interest in having one as a pet), I soon fell in love with little Prince Arcane and was on my way to becoming a “cat person” as well! Because Arcane was officially my daughter’s cat, I adopted a lovely little silver tuxedo girl of my own (who still has the use of all four of her legs), but Juju was not a very feline-social cat and wanted little to do with Arcane, who always wanted to play with her. I watched him trying to play, and her rebuffing him and simply removing herself to someplace he couldn’t get to, and I always felt badly for him. 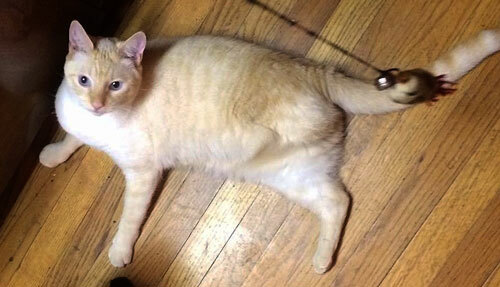 When I saw a feisty young male flame-point come in to the shelter who needed to have his back leg amputated (it had been broken in multiple places and the previous owners had tried to set the leg themselves instead of taking him to a veterinarian), I thought how perfect it would be for both of the tripod boys to have someone to play with, so Ozymandias joined our family. The two boys became fast friends and wrestling partners, thumping around the house after each other and taking each other down with WWE-like body slams. Since then, my daughter moved out with a roommate, taking Arcane with her. I knew Ozzie would drive Juju crazy chasing her around wanting to play, and wanted a playmate for him. Since I already had the house catified and the catio designed for the needs of 3-legged cats, it was a given that I might take in another tripod if the right one happened along. Coincidentally, a litter of 4-month-old kittens had been brought in from a local feral colony a couple of months before. 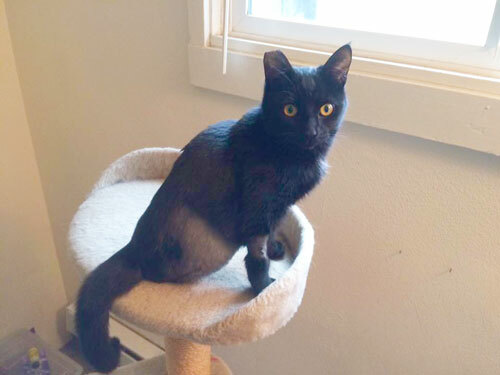 The entire litter was ear-tipped and placed into the shelter’s barn cat program, but one was found to have an injured leg that would not heal and had to undergo amputation. Although she was still very skittish, she could not go to a barn home due to her missing leg, so one of our cattery volunteers, knowing my setup at home, suggested I meet her. Though my plan had been to get an adult male cat as a companion for Ozzie, I could not pass on little Alchemy once I met her. She came home with me, and after an extended introduction period she and Ozymandias are the playmates and bosom buddies I had hoped they would be!